By Jon Smith on 2019-02-17 - Jon is a senior motoring journalist with a background writing for weekly/provincial daily and national newspapers and magazines. He has held executive news and features positions in Fleet Street and evening titles. Former Pirelli Motoring Writer of the Year winner. Currently specialising in product launches, safety issues, car tests and future motoring trends. 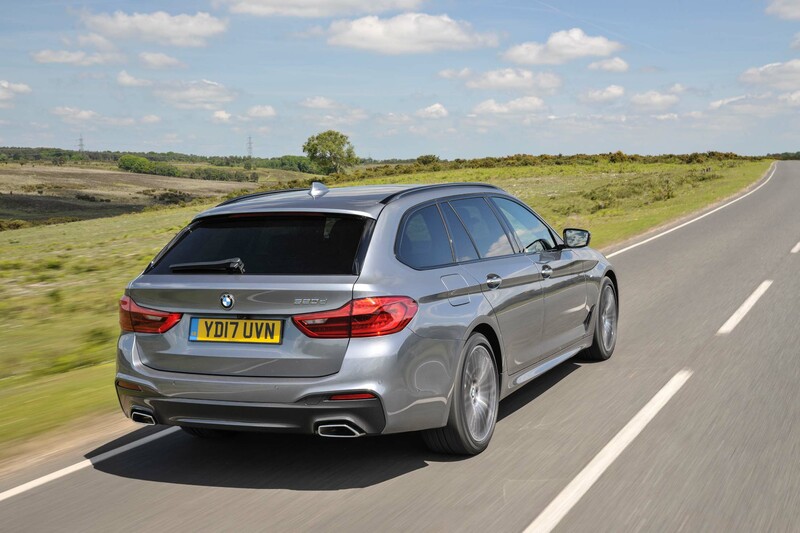 THERE's no denying that by estate standards the BMW 5-Series Touring is easy on the eye. 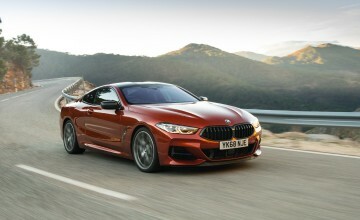 Smooth lines, pleasant contours and a definite road presence. But the good looks are only a small part of the story. Here is a set of wheels that can be a family car packed the gunwales with kids and clutter one minute, the next it's a sports car exhibiting neck-jerking acceleration and leach-like cornering. 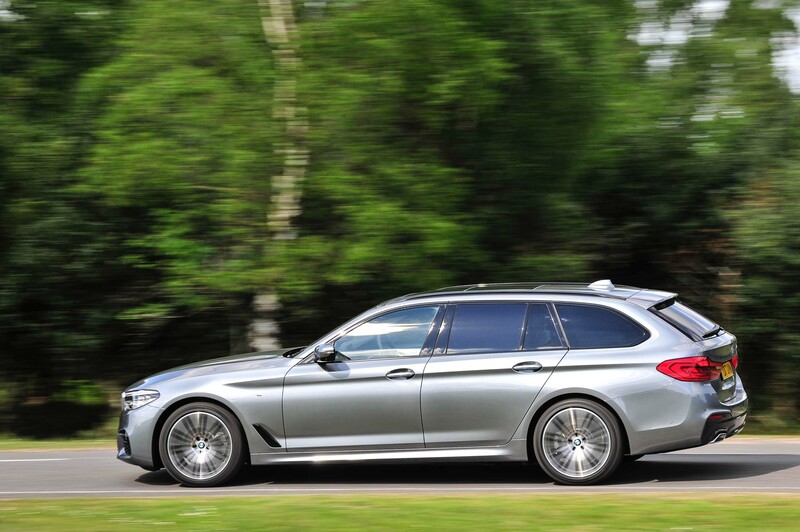 Alternatively, it's a smooth business express transporting execs in luxury to a can't-miss meeting. OK, so you could say the same about a number of £40,000-plus motors. But none can execute so many duties quite as well. 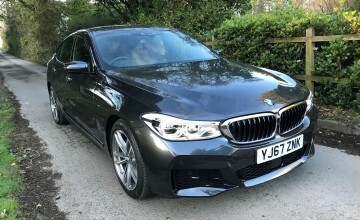 Replaced and refreshed last year, the current car bears a remarkable resemblance to the previous model, except it's more coherently attractive, the boot is bigger - although it was big enough for most anyway - and it handles and rides even better. 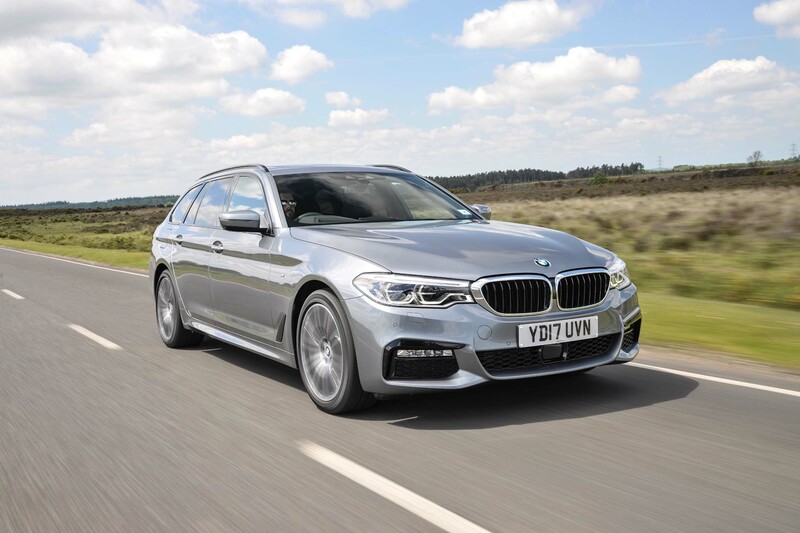 Sure, there are more expansive load-luggers out there, but they don't offer the driving satisfaction of the BMW especially when it's in 530d form, as driven. 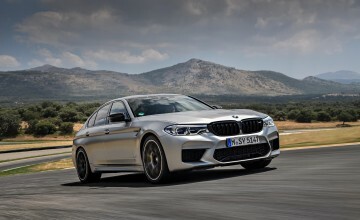 Its mechanical credentials are the same as the saloon - a 3.0-litre, 261bhp, six cylinder turbo-diesel engine which gives a sub-six second time to 62mph and a max that is electronically limited to 155mph. 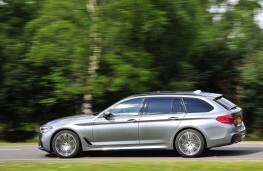 In other words, this is a fast sports estate that can outpace many two-seater roadsters. Allied to the huge grunt is a velvety automatic gearbox complete with steering wheel paddles. The system complements the creamy engine perfectly and switches personality from lazy potterer to focused performer at the prod of the accelerator. 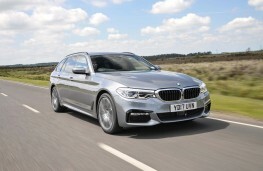 The M Sport X-Drive was equipped with air suspension that despite inhibiting cornering roll, coped well with the scarred and pot-holed roads that still litter Britain's roads. I would however prefer less low profile rubber to further improve the ride even if ultimate adhesion were to be slightly impaired. There was a time when a fast wet weather drive in a BM could be trifle hairy thanks to rear drive and a wayward tail. 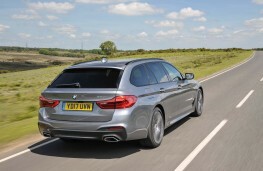 No such fears here with xDrive all paw adhesion the big estate stays firmly glued to the black stuff. 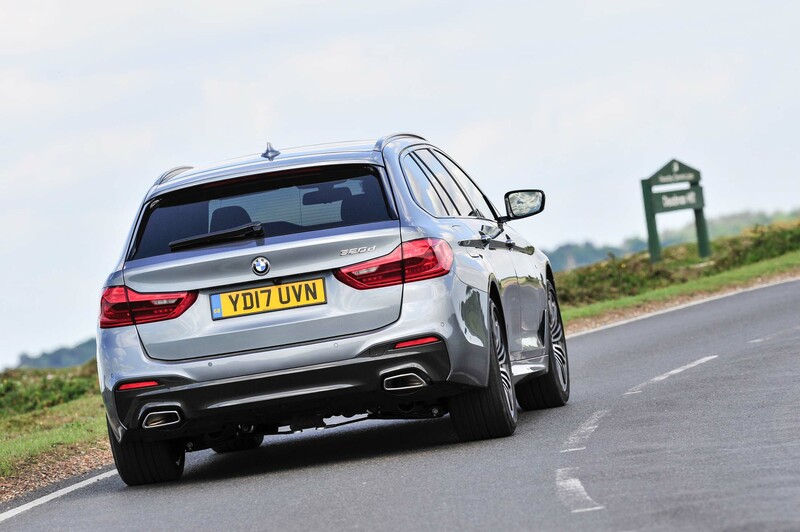 A pleasantly meaty feel to the steering adds to the driving pleasure by passing the relevant info back to the helm. 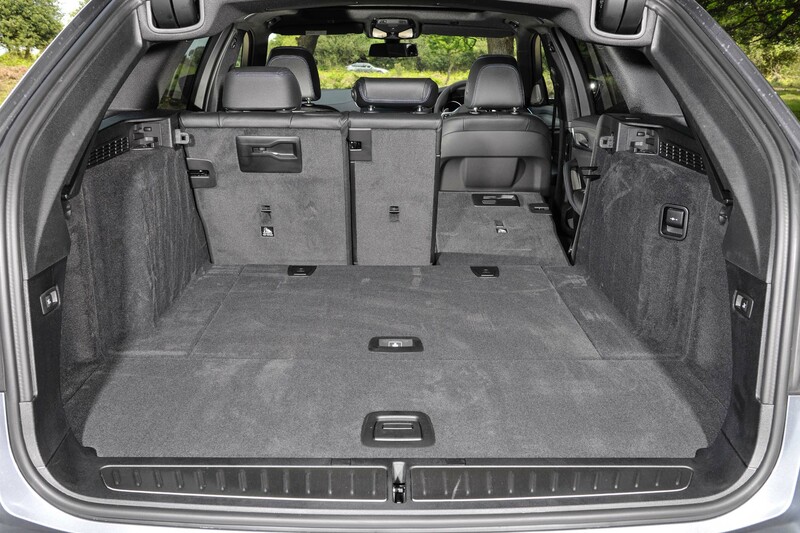 When it comes to passenger and luggage space, the Touring feels like a reasonably sized lounge. Five adults can travel comfortable and there's still 570litres of room in the boot. 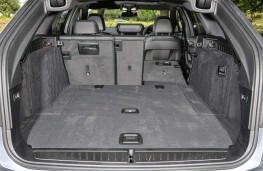 The rear seats splits 40-20-40 and folds flat to further boost load capacity. 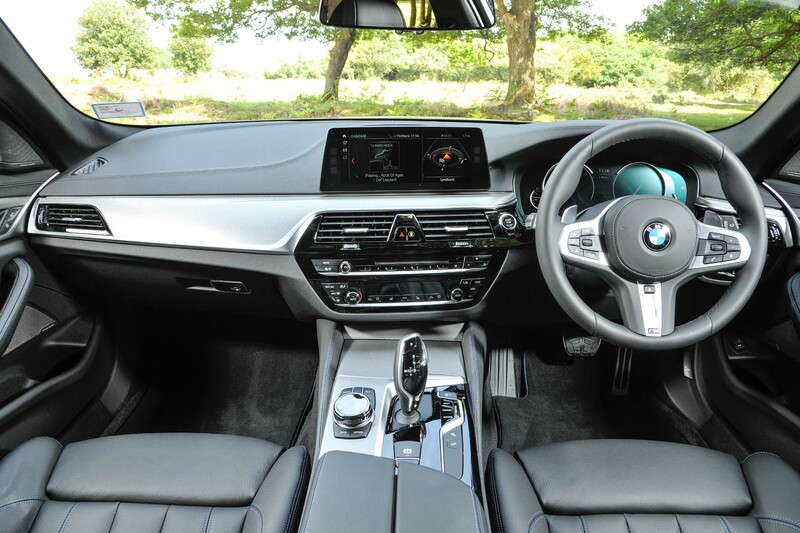 The cabin is pure BMW with heavy duty switches a huge - and easy to use - touchscreen and logically placed instruments and dials that are clear to read. There are plenty of bins for oddments and the usual tut we carry. I would like the front door pockets to be a bit wider since this is meant to be a family friendly holdall, but hey...it's still a sports car beneath all that practical stuff. And don't we just love it to drive!